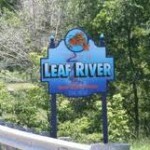 Welcome to the Leaf River Summer Daze 2019 Website! It is being updated so come back often for any changes that are made. On these pages you will find a schedule of events, entry forms, location information and more. Website sponsored by LR Communications. Most activities will be at the River Valley Complex (RVC)/Bertolet Memorial Library area on Friday and Saturday. The RVC/Bertolet Memorial Library area is located across from the water tower on Main Street. Other Locations to visit: Bertolet Park area, on HWY 72 just west of Main St.; Historical Museum on HWY 72 just east of Main St. Begin with the Antique Tractor / Engine Show, the Tractor Rodeo, Grass Attack Band and Lions Club sponsored Fireworks on Friday ; continue with the Lions Club Car Show, RVC Cornbag Tournament, FFA AlumniTractor Pulls and the LR Fire Dept. Water Fights on Saturday and conclude this fun filled weekend with the Lions Club Pork Chop Dinner and enjoy the Grand Parade on Sunday. The Historical Museum will be OPEN on Friday and Saturday at 9-4 and Sunday 12-4. See their page for everything that will be happening. New this year will be a Tug-of-War on Saturday and Sunday, and a Pie Eating Contest on Saturday. Several different games for kids to enjoy and face painting behind the Bertolet Memorial Library at 10:00 – 12:00. Games and face painting are free, and are sponsored by the Leaf River Lions Club and the Leaf River United Methodist Church. There will also be free barrel wagon rides from 10:00 – 2:00 near the Bertolet Memorial Library, sponsored by the Leaf River Lions Club. The Bertolet Foundation is providing a bounce house and slide at the RVC at 10:00 – 2:00. 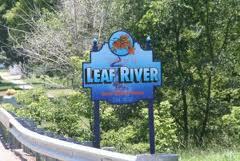 Leaf River Summer Daze is the place to be May 31st, June 1st & 2nd. Come enjoy the good food, great friends and lots of fun!